Get your husband to write about ways that you try to support him. ‘My Wife understands my work and passion. She supports me by giving me the time and space to do what I needed to. I love running and will always find time to indulge myself in the sport. Angie gives me the time to take part in races on weekends and most of the time, she has to settle the kids on her own or even bring them out by herself on our usual routine activities. My Wife also understands the need to spend time at work, sometimes overnight due to the activities I am in charge of. She willingly takes charge of the household and gives me the time to complete my tasks before going back to spend time with the family. As i reflected on my hubby’s comments, I realised that having a clear understanding of our roles and how we can support each other played a great part in making things work for us. I knew my role as a wife and mum was to take care of our children’s needs and nurture them holistically at different stages of my life. As a stay at home mum previously, I was their primary caregiver. Even then, as a wife, it mattered a great deal to my hubby that his needs are also considered into our routine. Be it the need to pursue his jogging once a week, his work and church ministry, it boils down to the opportunity cost of me handling the kids on my own. In the early years it was TOUGH. 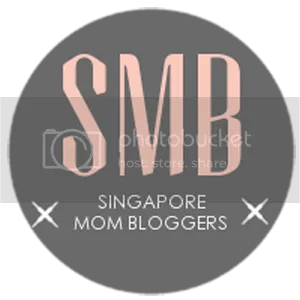 I share on how I struggled as a SAHM without any domestic helper nor available parental help in this post (Do click on those Bold words for my other posts) : To have a Helper or Not? It was only after that incident did I realise how important it is as a couple to have the same values and understanding of what is important for both of us. The decision to have a helper improved our relationship and enabled us to do what we really wanted to achieve as a family- Hubs to work and minister with peace of mind (not having to worry about us) while I can focus on teaching my children (instead of being tired out by chores). Another major factor that made things work for us was when we started re-prioritising our Marriage above our child-rearing routine. After years of praying for a deeper relationship when our early years of child care took a rocky toll, it was an answered prayer that hubs took the initiative to have weekly date nights with me! The best gift to our children is a stable and loving relationship between us the parents. As our love tanks are filled, our children receives the outflow of our love and can be secure to face the world. I recall how as a child, my parents used to quarrel daily over money matters and it caused great anxiety in me. I always wished they could be more loving. Prior to my blogging, it was difficult for hubs to imagine how a SAHM’s life was. As new parents and new to the roles of hubs working while I stay home, unrealistic expectations crept in. A lot of misunderstanding had to be cleared up with details of what I do at home. The misconception of how SAHM has free time for herself and should be available instead of being tired, always needing husband’s help was an issue in the initial stages. After I started blogging and making hubs a follower of mine. : p I saw how his attitude towards me staying at home changing. Our chronicles shed light to ‘what we do all day’ and why I was as bushed or more tired than him at the end of the day. I felt there was a genuine understanding to how I felt as a SAHM. I must say it is also fairer for my hubs as he could see what we do and share the journey together as a family! In a way, he is given the update he needed to know how I practically show support to him. Here I share How I survive as a SAHM tips. Of course, I did not blog because of this reason. I started my blog because of this. If you don’t have a blog, having photos of your time with your kids and whatsapp/instagram/facebook them to your hubs would be a good way of updating him? We are after all, visual creatures. This is another way of communicating with your spouse. My hubs makes it a point to ask me how the kids are doing or how I am doing via whatsapp. Here’s a Peek-a-Day @ our routine in 2015. And how I create Spaces for Growing 3 lil hearts. I also have a routine of spending 1 on 1 time with my kids. This allows opportunity for full attention on one kid instead of the usual distracted shared attention. As I took on more load at work as a part-time teacher in the recent years, my routine also changed. Support was more on the finances and the monitoring of the kids’ school routines. I try to inculcate more life skills and study strategies rather than focusing on the specifics of their academics. I also share on how as a working mum I struggle with changing the Fear of Missing Out to Faith in Missing Out. Lastly, having Christ as our head unites us in spirit, truth and body. It is not prayer that moves things. It is Christ who moves us and others as we pray. As we draw near to God, we learn how His marvellous ways supersede ours and grow in His abundant grace! If you would like to travel to the previous stops on this Blog Train and read more interesting stories about how Mothers make it work, you can start with this one here, Mother’s make it work over at Mums’ Calling. Karen is a Mum to 3 wonderful children. She believes it is almost every woman’s calling to be a Mum. While fulfilling hers, she finds the journey truly rewarding and enjoyable. She is convinced that Motherhood is life changing with full of surprises. At next week’s stop we will be visiting David at Life’s Tiny Miracles. David and Angie are co-authors of their parenting blog. Having suffered child losses and childlessness ,they believe in celebrating the tiny miracles God gives in their everyday lives with their kids. Their blog is a journal of their parenting journey. It covers an extensively from travels with their kids, to kid-friendly products and experiences and most importantly, their reflections as parents and as a couple. Previous HeArt of Growth Mindset 1: I Can Learn Anything! Oh Angie! Thank you for sharing this post. I can relate since I’m a SAHM with young kids…picking up great tips from you! Am glad you find it helpful! Thanks for popping by! Jiayou mama!!! Thanks so much for hopping on the Owls Well Blog train! I think it’s so great that you and your husband make your marriage the solid foundation upon which you are building your parenting partnership – and it really does create that secure and stable environment for your kids. Thanks for sharing the tips to making the motherhood journey manageable. Your husband’s thoughts about you are lovely! He’s really supportive. 1 on 1 time is highly essential, especially with three. Thanks for the reminder!